BEPC provides a variety of security systems for businesses that need security for their new building or for organizations that are ready for a security upgrade. With so many changes in the security atmosphere, it’s important to know what you are purchasing. Our security consultants can show you what type of security system will be the best fit for your organization. Making sure that your company and staff are protected is no easy task, that’s why our security systems are the right solution. 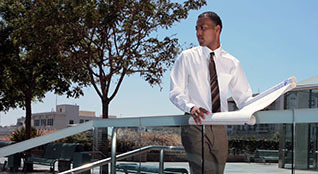 Our company can provide simple solutions to regulate security at your business or organization. We can provide access control synchronized with photo imaging and badges. We can also install time and attendance systems to be sure your employees are always safe and sound. If your organization isn’t sure which level of security is needed, our expert security consultants will be able to help guide you in the right direction. If the above security solutions aren’t right for your building, BEPC, LLC offers additional security solutions that may better fit your company’s needs. BEPC understands the need for privacy and security with your organization. Our licensed and insured contractors can help you with your security needs. Our company will work with you to make sure your location maintains a secure environment for employees or visitors. Want more information about security solutions from BEPC? Fill out our online contact form and our security experts will reach out to you shortly.